That Pet Place – Shameless plug. 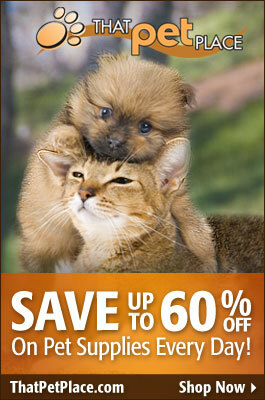 Discount pet supplies online, and you’ve been reading posts from our experts right on this blog. Best Friends Furever – Best Friends Furever is an all volunteer non-profit group dedicated to helping the homeless animals in the community. BFF organized in 2010 to create a super adoption event, the Petapalooza Adoption Festival, to showcase the area’s adoptable animals. Cocker Spaniel Adoption Center Inc – Cocker Spaniel Adoption Center Inc is a unique virtual rescue. They are a network of fosters, adopters, and rescue partners. Primarily located in north-eastern Maryland and south-central Pennsylvania, CSAC accepts applications from anywhere someone is willing to drive from and pick up a dog. Doberman Pinscher Rescue of PA, Inc. – Doberman Pinscher Rescue of PA, Inc. is an all volunteer, non-profit organization dedicated to rehoming needy purebred Dobermans. Feathered Sanctuary Exotic Bird Rescue – The Feathered Sanctuary Exotic Bird Rescue in Kirkwood, PA is a non profit organization dedicated to the education, placement, and sanctuary for displaced companion birds. Mostly Muttz Rescue – Mostly Muttz Rescue is a public charity that is an all-volunteer, foster based canine rescue striving to keep man’s best friend from dying alone in the shelter system. Mostly Muttz Rescue, does not limit life saving efforts to just dogs that will be the easiest placements, but often choose to save dogs suffering from curable illness within the shelter system. It is their belief that every dog, regardless of health, deserves at least a fighting chance to live, to love and to be loved for the entirety of their life. KPETS – Keystone Pet Enhanced Therapy Services (KPETS) provides a network of dependable registered pet therapy teams whose passion is Touching Lives & Warming Hearts by providing comfort, encouragement and rehabilitation through human/animal interaction. Lost Paws of Lancaster – Lost Paws of Lancaster is a non-profit animal rescue. Our time and energy goes into saving the lives of furry friends and finding them their forever homes. Lancaster Herpetological Society – Lancaster Herpetological Society is a group of reptile and amphibian enthusiasts. They get together on the third Friday of each month, and their meetings include expert speakers, guided nature walks, and socials. Meeting topics vary between research, conservation, husbandry, and basic herp education. Their club is open to all folks curious about cold-blooded creatures! Forgotten Friend Reptile Sanctuary – Forgotten Friend Reptile Sanctuary is a reptile rescue and education organization from Amish country, Pennsylvania. Their mission is to give reptiles a chance, by rescuing reptiles that need their help, and by providing fun outreach programs to spread their love of reptiles. Raven Ridge Wildlife Center – Raven Ridge Wildlife Center is run by licensed wildlife rehabilitator, Tracie Young. Located in Washington Boro, this facility runs 24/7 taking in orphaned and injured wildlife in hopes of nursing them back to health, and releasing them back into the wild. Lancaster SPCA – The LCSPCA will be the leader in serving Lancaster County, Pennsylvania with all available means and resources to prevent and alleviate the suffering of animals, and provide sheltering, humane care and adoptions of stray and unwanted animals and animals who come to the SPCA as the result of owner surrender and cruelty investigations. PetFinder.com– Petfinder.com works with shelters, rescue organizations and animal welfare organizations across the country to ensure that no adoptable pet is euthanized for lack of a good home. The site is also a hub of information about pets, pet organizations, and pet products. Operation Scarlet – A Lancaster PA based Shar-pei Rescue organization founded in 1991 and named for the founder’s first rescue. Keystone Greyhounds– Keystone Greyhounds is non profit organization dedicated to finding responsible homes for retired racing Greyhounds. We are an all volunteer group based in South Central Pa. Our goal is to place the right hound in the right home and to promote public awareness about what excellent, loving pets these noble dogs make.